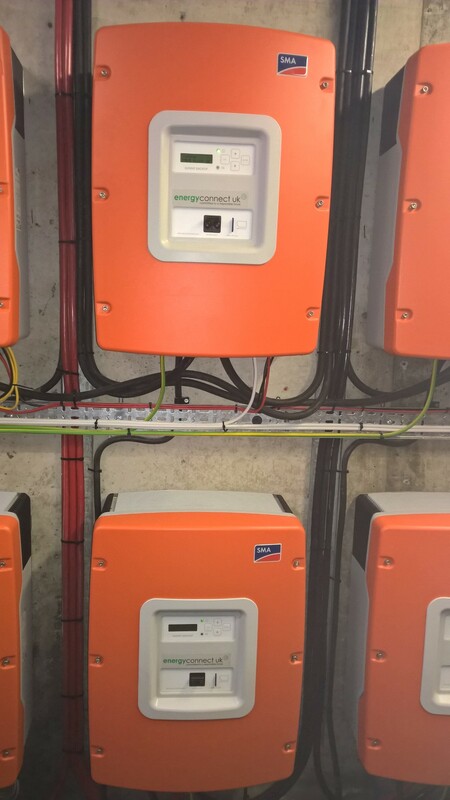 The site itself generates enough power to effectively run off-grid for a number of days, especially during the Summer when the Solar PV is contributing. 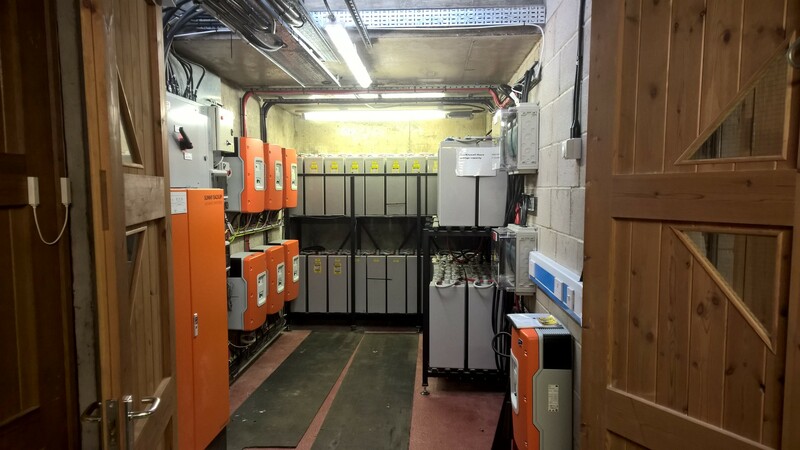 With the optional 15Kw Combined Heat and Power Gas turbine generator system to top up when necessary, the site could run completely off the national power grid. However creating an automated system that facilitates this represented a significant challenge and the system went through many iterations over a 20 year period. 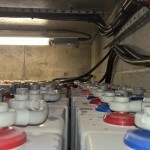 Each iteration improved upon the last, and in 2013 West Beacon Farm contracted Energy Connect UK to install an SMA Backup driven system featuring 6x Sunny Backup Inverters and a 3600ah (48v) Battery bank. 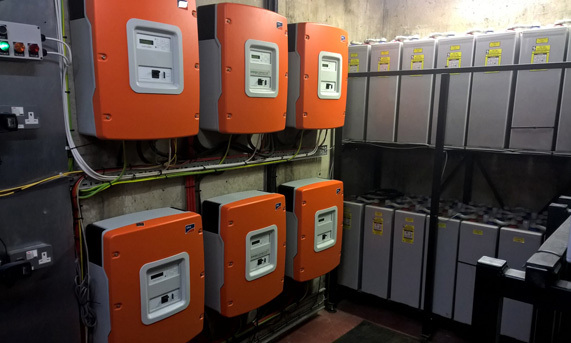 The SMA system uses power generated from the site’s wind, hydro and solar to keep the battery bank charged up during an on grid situation, intelligently maintaining the bank to maximise the batteries lifespan and efficiency. 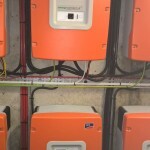 In a situation where the power is cut to the site, the SMA equipment instantaneously meets the current demand and provides the site with AC power inverted from the DC bank. 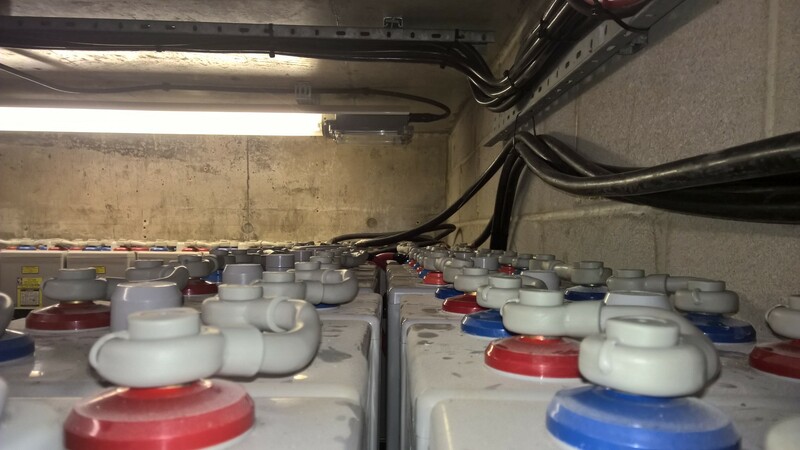 During the day, the large solar arrays will often meet/exceed the sites power draw, so even in an off grid situation the batteries are often being charged. 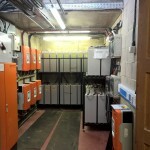 Should the battery bank state of charge reduced to predefined levels, the on site gas generator kicks in to help out. This is only likely to happen during a low sunlight, low wind period of the year, but is there as a further level of security. 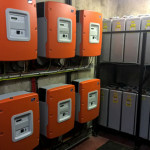 If the neither the gas generator nor renewable technologies combined can meet the sites power demand, there are further fail safes built in, in the form of automated load shedding. This is designed to drop non-essential loads, in the aim of ensuring continuous power to those items/circuits that have been deemed most important.